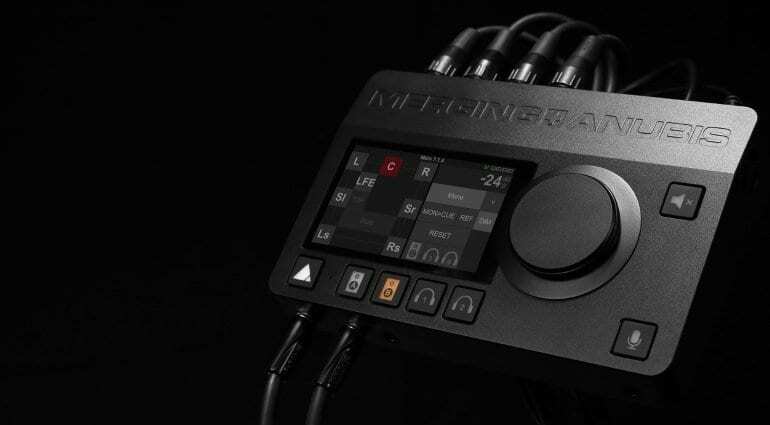 At Pro Light & Sound 2019, Swiss manufacturer Merging presented Missions for its Anubis networking-enabled audio interface. Missions are proprietary software running on the Anubis’ touchscreen and on your computer. The initial offering includes the Monitor Mission, with the Music Mission coming later this year. 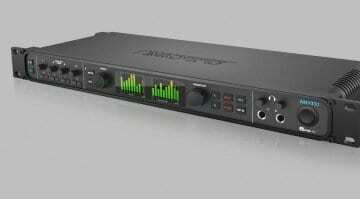 Housed in an aluminum unibody case, Anubis has serious conversion mojo with sample rates up to 384kHz, native DXD & DSD (up to 256) decoding support, and a 32-bit signal path. 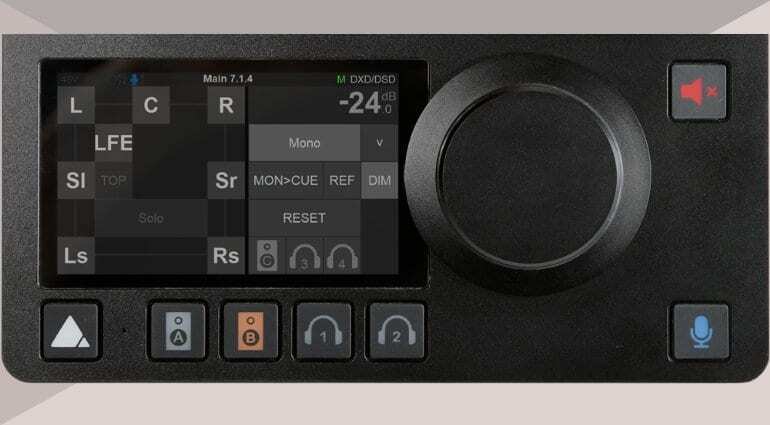 Connectivity comprises a pair of combo mic/instrument inputs, dual line inputs, dual instrument (hi-z) inputs, RAVENNA/AES67 Ethernet input for networking, and GPI/MIDI IO on TRS jacks alongside the pairs of main outputs, line outputs, and headphone jacks. Notably, the mic & line inputs sport very high 136dB & 139dB dynamic range figures, although the main/line outputs are measured at 123dB max. This I find somewhat ambivalent. Note that Anubis is not an USB/Thunderbolt interface but one strictly network-oriented. Computer connectivity is accomplished over AES67/RAVENNA with ASIO drivers for Windows, VAD Core Audio for macOS, and ALSA driver for Linux. The Monitor Mission for ANUBIS enables in-the-box monitoring for up to 4 monitors, up to 4 sources, up to 4 Cue Mixes, and up to 2 headphones. 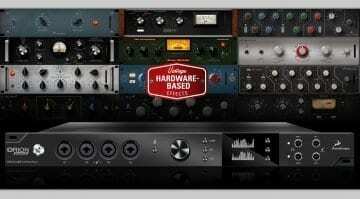 Each of the 4 input channels can be split and configured with independent gain and cut levels. Through Hapi or Horus, I/O can be expanded for up to 8 monitors and 128 sources, both capable of up to 22.2 monitoring (32/128 channels); up to 8 cue mixes, up to 256 analogue I/Os, up to 256 MADI/AES3/SPDIF channels, up to 256 AES67/RAVENNA channels, and up to 256 Pro Tools HD I/Os. Any other AES67/RAVENNA devices can be paired through ANEMAN. The Monitor Mission offers dedicated Volume Control, Monitors, Talkback and Mute buttons with customization and remote control possibilities (tablet & web browser). There is a dedicated, configurable metering page for sources and monitors. Talkback can be accomplished with the built-in mic, or external ones. A footswitch can be added for triggering actions, and a preset system allows saving and loading presets. Monitor Mission also has integrated speaker management which includes freely adjustable crossover filters for every speaker and LFE, high-pass filtering with adjustable slopes (up to 36dB/octave), Trim Level and time alignment delay for every speaker and LFE, time alignment/lip sync delay of up to 200ms, and 2 LFE channels mimmicking a stereo Sub channel. There is no information for Music Mission at the moment, though I presume it is tailored towards rehearsals, recording and production. 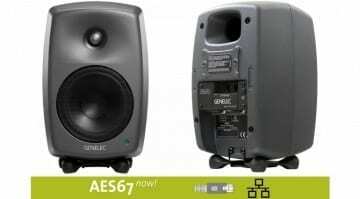 The Anubis Pro and Anubis Premium are being sold now, priced USD 1600 and USD 2100 in America. I tried looking up European prices but couldn’t come up with results. 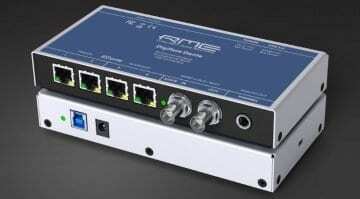 But USD 1500 – 2000 seems reasonable for a high-end networking product.